pishtech.com • View topic - When A Trout IS NOT A Trout.. Snow Trout=Schizothorax? When A Trout IS NOT A Trout.. Snow Trout=Schizothorax? Last week Martin wrote me and said he has found a new fish that lives in Siberia and Upper Middle Eastern countries and it is called a "Snow Trout" and if I could look them up and make a new fish for his new Siberia outings. I surfed the internet and came up with some very interesting findings. As it turned out the so called "Snow Trout" is actually not a trout at all. It belongs to the family of fish known as "Schizothorax" (meaning cloven-breast in Greek) although they share similar appearance and living habitat as the beloved trout. 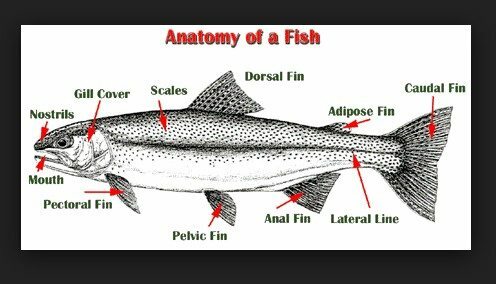 The main difference in appearance would the the absence of the Adipose fin found typically on fish that belong to the Salmonid families. That is the small fin just before the tail formation on top of the back. There are about 60 sub species under the Schizothorax family of fish and they all vary slightly in appearance in size and are distributed in various parts of Asia and upper Middle East Countries. I know this is a hard one for you guys as the only subtle indication would the the lack of the Adipose fin and it is easy to over look that... unless you are a fish builder like me. Snow Trout or Schizothorax, it is a beautiful fish to catch and they are reported to be very tasty on the table. Martin will have a good time with this one.